We have a product for every application including gardens, balconies , schools & creches, putting greens and commercial businesses. Fake grass is a beautiful & practical solution due to its versatility and hard-wearing properties. Artificial Grass Store have completed thousands of installations over the years. Take a a look at roll out grass products portfolio and our perfect lawns to see what all the fuss is about!" Get more out of your garden by switching to an artificial lawn with no more mowing, mud, mess or watering - just a beautiful space for the whole family to enjoy that’s green all year round. And our leading specialists install artificial grass products throughout the Dublin, Ireland area. Whether you are looking to freshen up a lawn or you are putting together a whole new garden investing in synthetic grass is a great way to transform outdoor space. Where no grass has grown before. 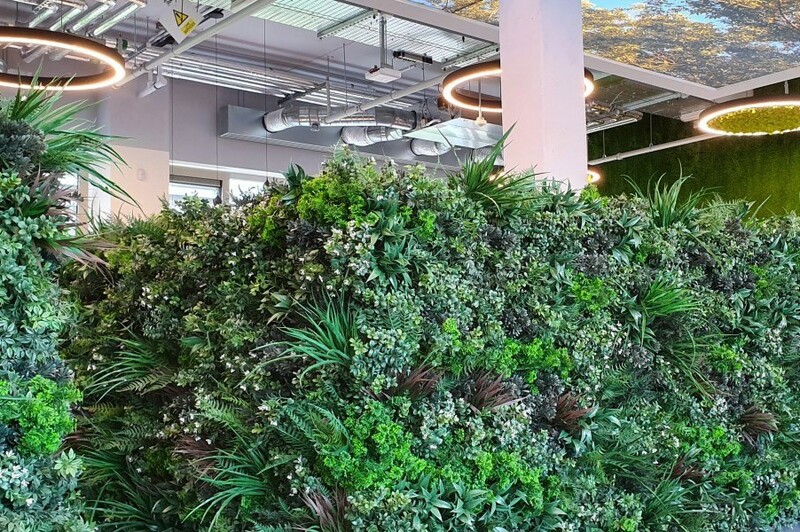 Roof gardens, balconies & terraces can be transformed into a more useable and functional space creating a beautiful outdoor living areas or secret gardens for entertaining and enjoying. Fake grass is a beautiful & practical solution due to its versatility and hard-wearing properties. Our roll out grass portfolio offers a solution for gardens, balconies, schools & creches, putting greens and commercial businesses. It’s playtime all the time - for a safe, clean playground that is functional all year round. 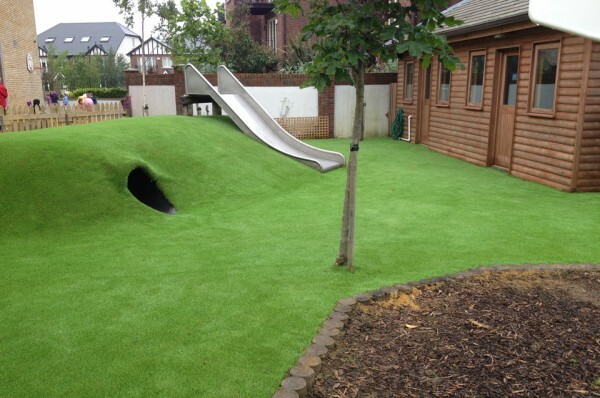 Transform your play area with fake grass - a very low maintenance lawn with no more mud and no more mess. We also offer a shockpad that can be placed under the grass for a super soft play area with critical fall height protection. There is no mud or mess, no cutting or weeding and your synthetic grass creates a beautiful outdoor space for family and friends to enjoy. 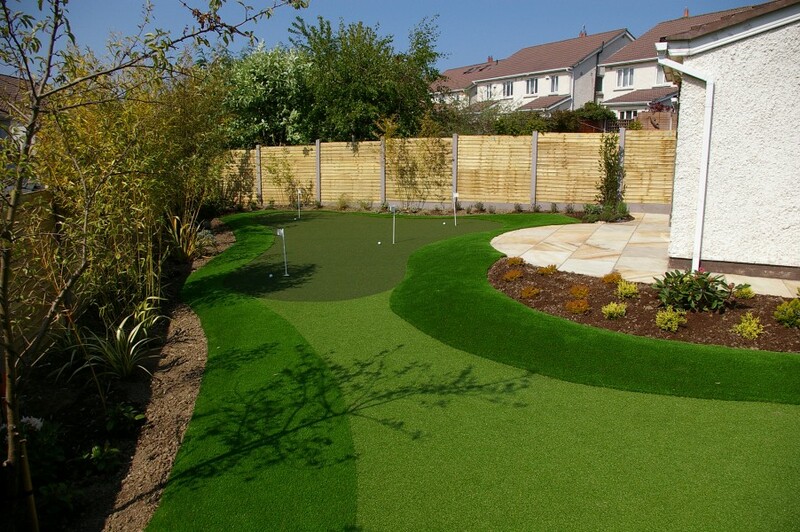 Improve your short game from your garden - we specialise in building bespoke putting greens and practice areas. Our grasses are sourced from the leading artificial grass manufacturer in Europe. 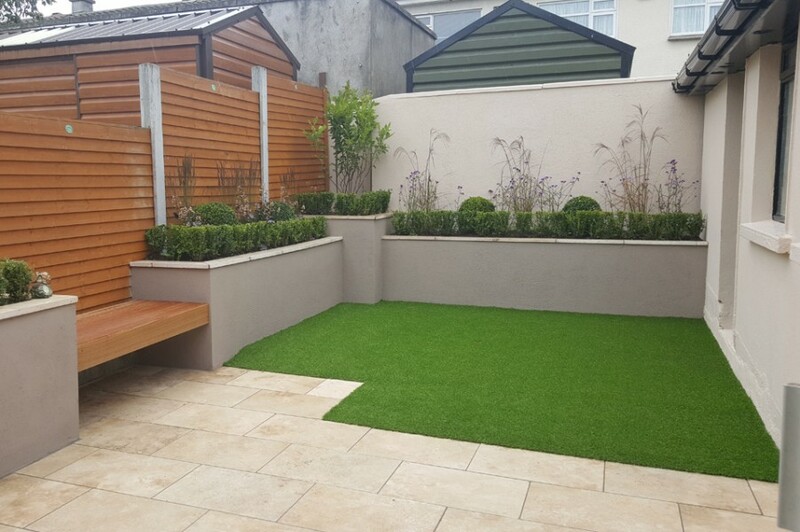 And our leading specialists install artificial grass products throughout the Dublin, Ireland area.All our greens are individually designed and built to the client’s s pecification’s or brief. Using our Links TRS putting surface combined with our premium range of fake grass we can execute any project to the exact detail and ensure you get exactly what you envisaged. A perfect low maintenance solution for commercial areas throughout the Dublin, Ireland area. It can improve bottom line by reducing costs associated with maintenance and water consumption. 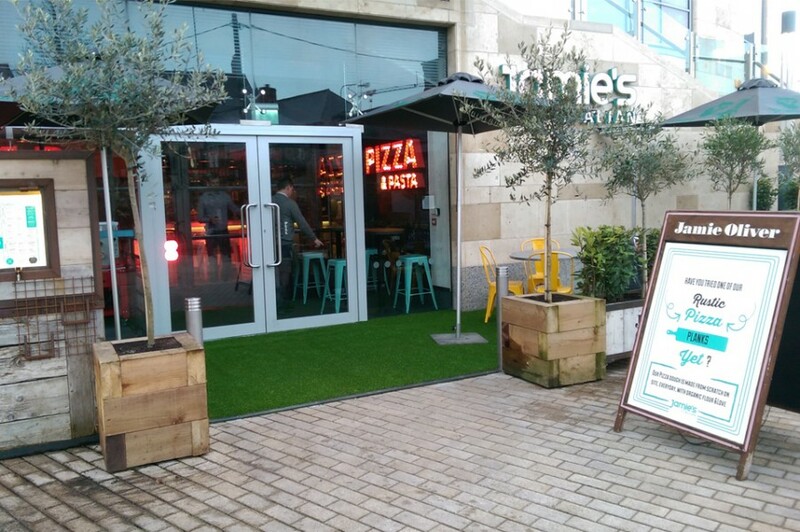 Whether you are looking to use fake grass to brighten up a commercial area, provide a safe flooring solution or maybe to provide added excitement to an event or window display. Artificial grass looks beautiful and stays green all year round. Our roll out grass portfolio offers a solution for gardens, balconies, schools & creches, putting greens and commercial businesses. Attract more customers by creating an eye catching display with artificial grass, it’s bright and inviting, making it perfect for any important event. Synthetic grass is a beautiful & practical solution due to its versatility and hard-wearing properties. 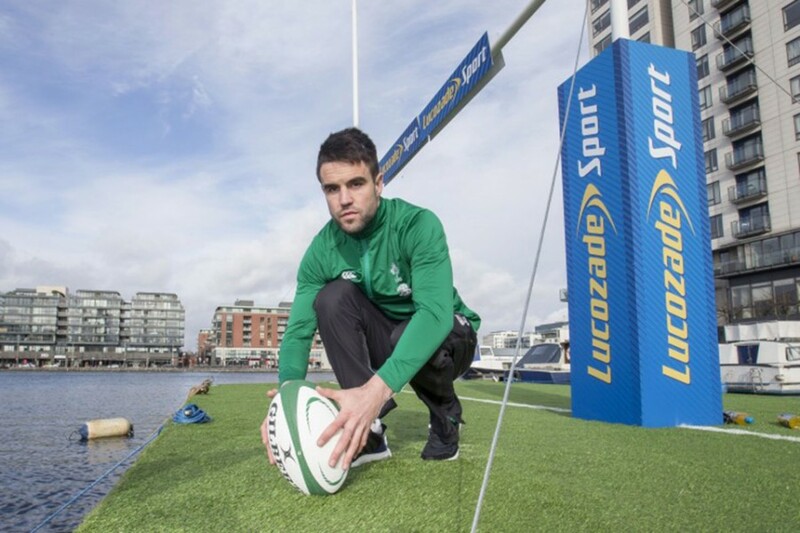 Artificial Grass Store have completed thousands of installations throughout Ireland. Take a a look at our roll out grass products portfolio and our perfect lawns to see what all the fuss is about!